Reports that most Initial Coin Offerings are scams designed to steal money from unknowing investors is not something new. Research carried out by Satis Group has already shown that as many as 81% of offerings carried out last year were scams. It has since emerged that investors in Russia were some of the biggest losers, as the hype around ICO reached peak levels. A report by the Russian Association of Cryptocurrencies and Blockchain (RACIB) indicates that nearly half of the $300 million raised last year in ICO, ended up in Pyramid schemes. The fact that Russia ICOs account for 10% of the global market all but paints a clear picture of the level of fraudulent activities with regards to ICOs. Concerned by the way investors are being duped into fraudulent ICOs, RACIB has embarked on an ambitious plan to fight back. The organization, which represents the crypto community, is now tasked with the responsibility of helping investors distinguish real ICO projects from scams. However, the organization faces an uphill task as excessive regulation and scrutiny could stifle growth in the space and force companies to seek jurisdiction in countries that are ICO friendly. The organization is currently preparing ICO standards that will be used to govern the sector. One thing that will be used to judge startups carrying ICO’s is the credibility of team members behind projects. RACIB also plans to verify a company’s website and their track records on previous projects. Startups planning to carry out ICO’s will also have to announce the minimum rate of return on investments as well as publish a white paper detailing the roadmap of the proposed ICO. 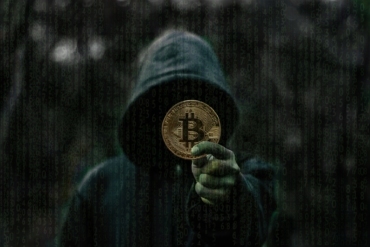 Amidst the drive, some Russian experts insist that only qualified investors should have access to Initial Coin Offerings if fraudulent activities in the sector are to be brought under control. Russia has ramped up efforts on the regulation of the cryptocurrency space. Two bills that will govern operations have already been filed in the lower house of Russia’s Parliament, Duma. The draft law under discussion seeks to legalize various crypto activities including Initial Coin Offerings. Legislators in the country have opened discussions on whether to amend civil code that would allow the use of digital money for making payments. Igor Nikolayev, Director of the Institute of Strategic Analysis at FBK Grant Thornton, believes clear and transparent self-regulation will help minimize fraud and scams in the sector.